I love how the culture of FOSS4G is different each time I attend. Same general idea, different mix of ideas and content. 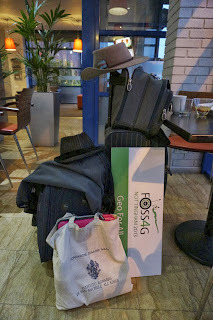 So how was FOSS4G 2013? I have been sitting on a collection of notes and today is the day to turn them into a blog post. Before we get going I would like to thank Boundless and LocationTech for the opportunity to attend ... thank you! 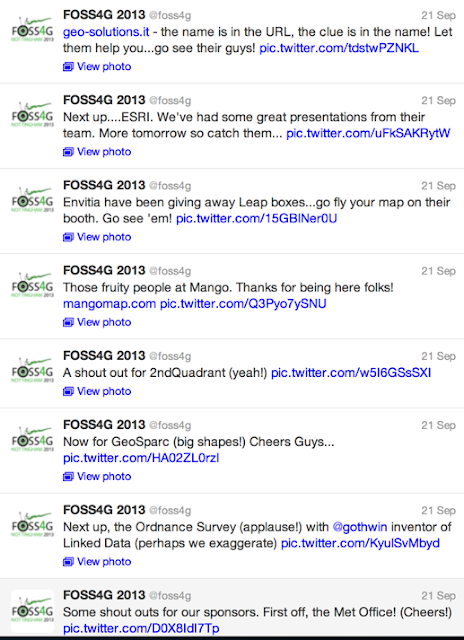 The big news of FOSS4G this year ... was that we had a FOSS4G this year. This simple fact cannot be overstated, taking a year off (while great for regional events) resulted in a considerable gap to fill and I was glad the team at Nottingham was up to the task. Steven Feldman brought a wonderful energy to the proceedings as master of ceremonies (and conference chair). He used his enthusiasm and energy to get the crowed pumped up and on their feet from the git go. The distribution of talks, some a 10 minute walk, kept people on their feet running from venue to venue for the next three days! I enjoyed helping Matt Walker set up the first couple days of workshops, and he did a great job with all the last minuet trials, internet proxies, projector bulbs and the rest. Communication was excellent with the foss4g website, blog post, a briliant google doc showing how to navigate through the woods to the 2nd venue. The venue held up very well, and featured excellent catering. 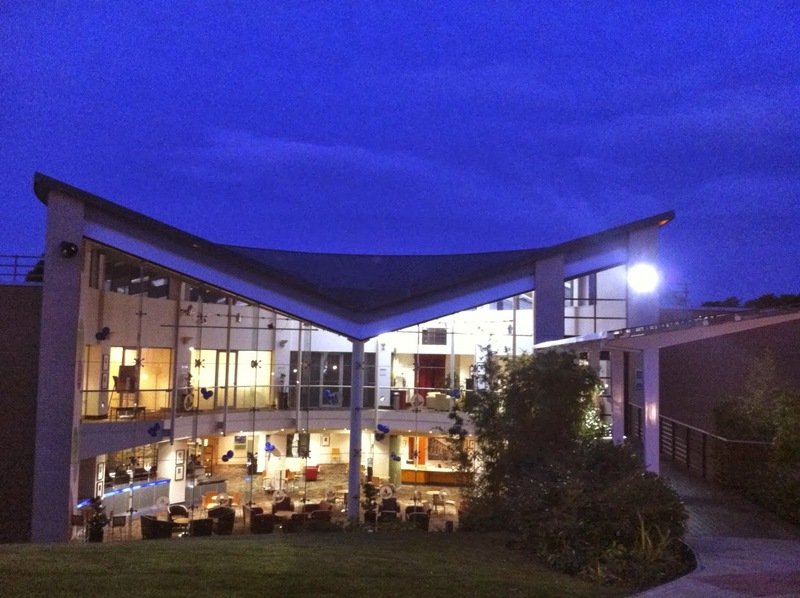 The lead up to the conference was excellent, with a series of blog posts for delegates. An inspired idea was the distribution of profile avatars which was very effective. The conference branding was pervasive, and made available for reuse with nice clear guidelines. In that context the only branding hiccup was the t-shirts - while I enjoyed the logo it tends to dominate any social situation. I have afraid the more reserved maptember shirt is one I will be able to wear in public after the event. The "Geo For All" theme was a good bit of fun, and many enjoyed dressing the part for the opening keynote. While I was off playing in the forest, I at least tried to keep my end of the bargin with a period hood. This year conference organisers added Flickr into the mix, the result was a great mix of live coverage. 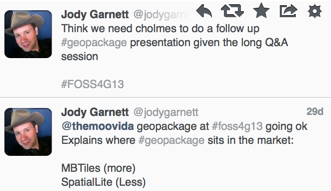 This live feed from FOSS4G contrasted sharply with long form writing. The conference ended up with relatively few blog posts, and disappointingly no real media presence. There was a nice article in wiredscience covering the foss4g map contest, but I could not find any mainstream coverage of the actual event. 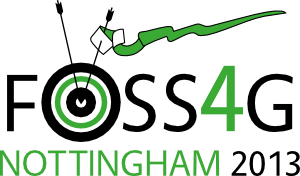 FOSS4G is an opportunity to capture the state of open source spatial, showcase our amazing OSGeo projects and the highlight the conference sponsors that make it possible. Sponsorship (and budget) is one of the key selection criteria going into selecting a location for FOSS4G each year. I would like to ensure we continue to attract media to the event, both for our community and also to promote the sponsors who make the conference possible. 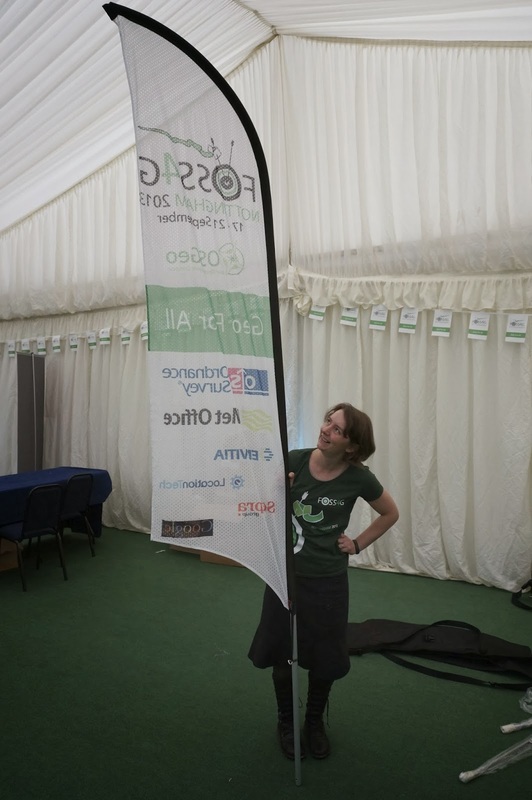 Media is not an also ran, it is important for FOSS4G to act as an attractive venue for getting the message out. I tired to thank these groups in person, but lets take a moment for a virtual booth tour. These organisations deserve our thanks for showing up, talking to everyone, and help in making the conference successful. I did not find a list of these organisations on the conference program or website. So this tour has been reconstructed from conversations, photos and a bit of help from twitter. 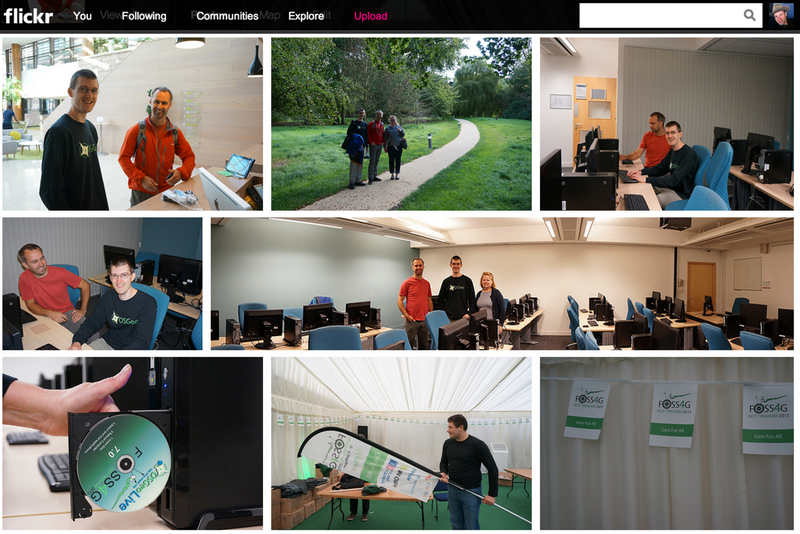 For each group searched for recent blog posts on foss4g so you can get a feel for their experience at the event. The GeoSolutions booth operated as a hub for Andrea's many talks, often featuring lively GeoServer discussion and Simone perched over a laptop. Boundless (Formally OpenGeo) was there to explain the new name, company direction, and range of products. As a new member of Team Boundless it was great to have a booth to visit during the breaks, and meet my new co-workers. The OSGeo booth reflected a relaxed and confident attitude this year, the couches providing a great place to rest / chat / hack. I was pleased to see some actual hacking, rather then just last minuet presentation prep. 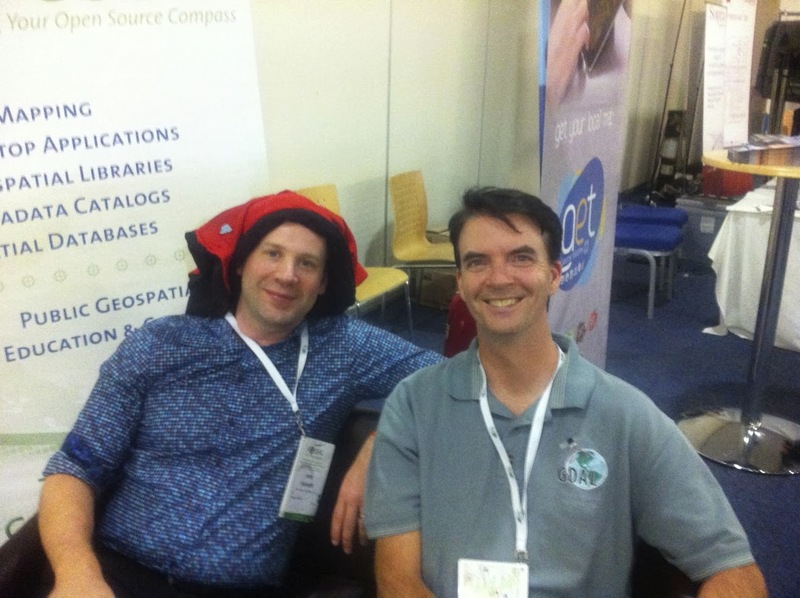 The OSGeo Booth felt like a rest stop, rather than the hub of activity it was in Denver. 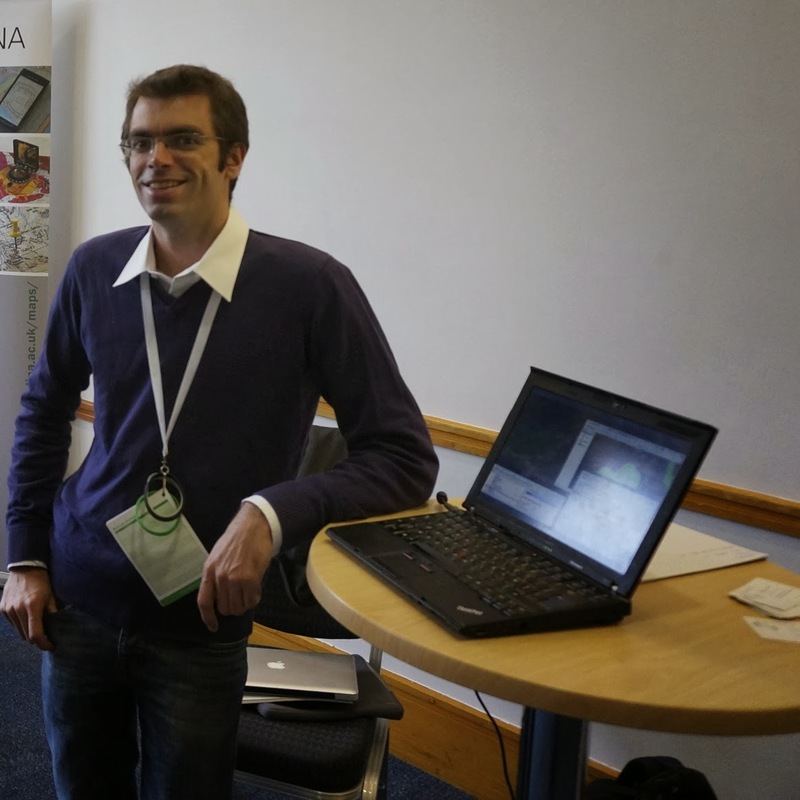 MapAction looks to leverage a open source spatial for disaster mapping. 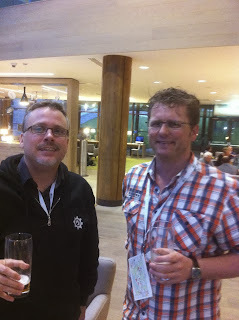 The Cloudant team were looking relaxed and cheerful. I have always been impresed with geosparc's portal stack (geotools and google web toolkit). While not strictly standards based it offers a nice end-to-end product. Did not get a chance to talk to this lot, just saw them across a crowded room. Association for Geographic Information was holding down a booth, but I could not find anyone to talk to (I expect they were all tired out after their event earlier in Maptember). 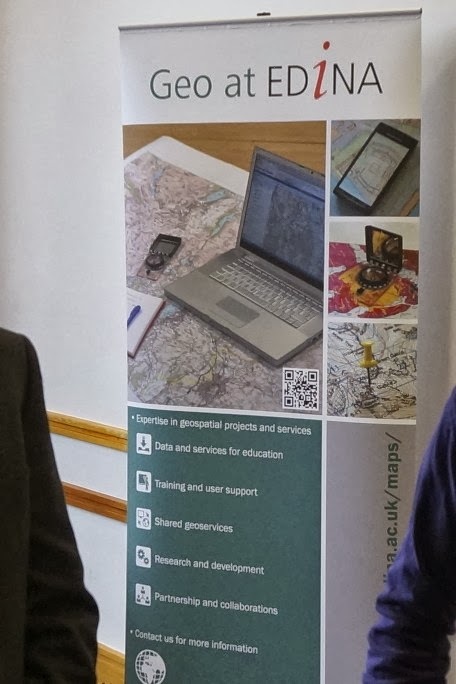 I really like seeing the geospatial professional bodies reaching out our internet culture. SSSI in Australia have been struggling to get recognition with the new generation despite all the important work they do shaping the policy discussion. Vincent Picavet and Oliver Courtin were on hand from OSLandia. In addition to arranging excellent weather, the Met Office had a comfortable booth with much appreciated power outlets. The ordience survey was a key sponsor for the event, and had plenty to talk about (much of which was covered in an excellent keynote). Regional support for OSGeo stack, sorry I did not grab a picture. Still amazing, still in Europe. 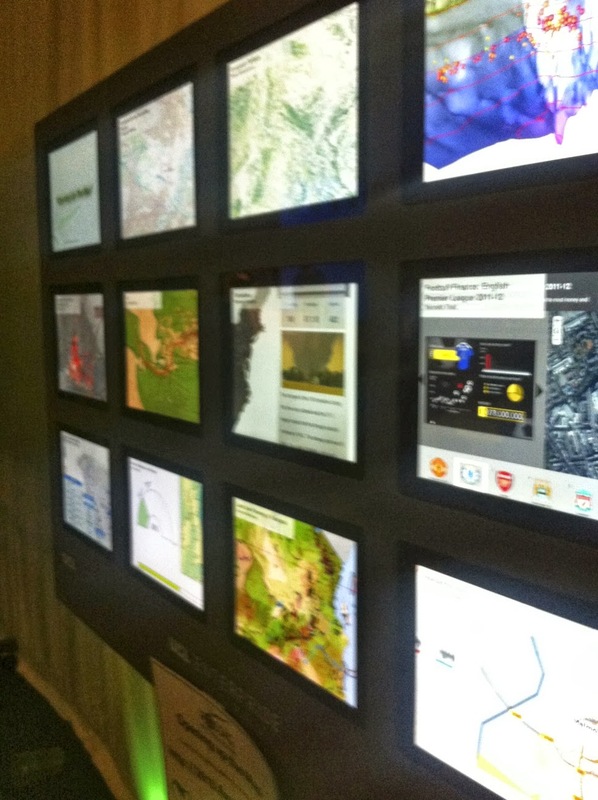 Geospatial Enabling Technologies was another new player for me. Their open source SDI was available to try out at the booth. 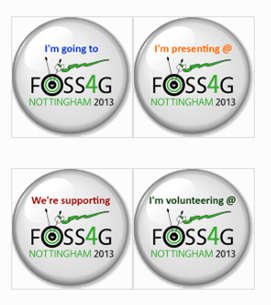 A couple great systems integration stories to tell, good to see regional organisations supporting FOSS4G. 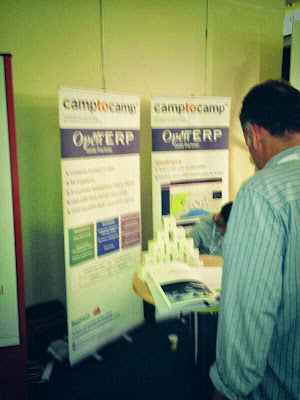 Did not get a chance to talk to this lot, but it is great to have an alternate to EnterpriseDB for PostgreSQL support. 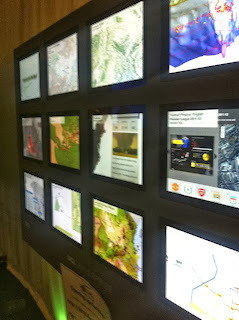 I had a brief chat with ESRI, but did not have too much to say after being dissapointed with their presentation on Saturday. The company is actually doing a some interesting open source out reach (geometry library, exploring hadoop and so on). Richard Burcher has already a write up on respecting sponsors in this context saving me the trouble of finding appropriate words. Monday was a slow day of jet lag, encouraging the local organisation committee, and helping out where possible. It was also my chance to get throughly lost trying to find the different venues, before the signs were put up! A few of the volunteers on hand to help set things up, greatness awaits. Tuesday marked the official start of the conference, a day mostly devoted to getting over jet-lag and workshops (although perhaps not in that order). 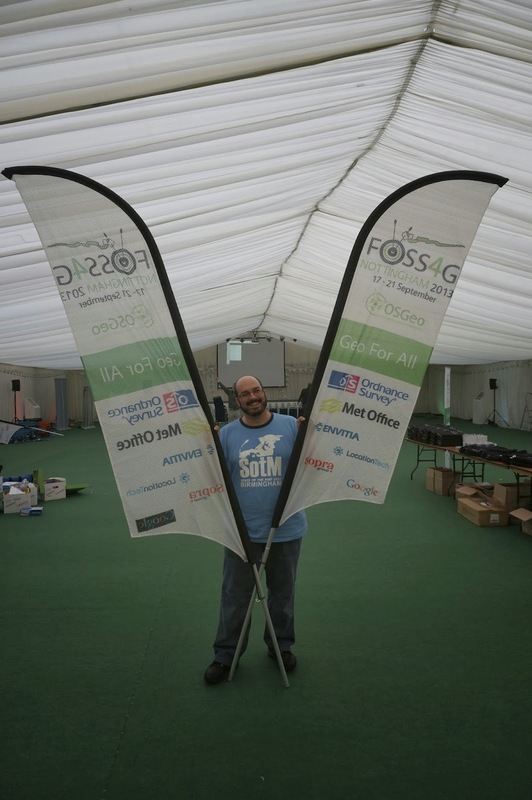 Workshops are an important aspect of FOSS4G. Many attendees can only justify attending the conference by virtue of the excellent training available at a FOSS4G conference. These courses are often "cheap as chips" for the opportunity provided. Workshops offer a great chance to try out a software product prior to more extensive evaluation. These FOSS4G workshops are very important to the developer community, providing first-hand user experience stories, and financial assistance for developers who could not otherwise attend. FOSS4G is unusual in requiring presenters to pay for a conference tickets. While the fee for workshop instructors is often waived, the amount of prep required for a smoothly running workshop is incredible. Here are a couple pictures of Jeff burning USB sticks the day before the OpenGeo Suite workshop. Due to access restrictions in the lab we were unable to install open source software for the course, running a VM is often an option (but this was only available in one of the rooms). The end result was a late night burning a hundred USB sticks, with as many machines as we could round up. Matt Walker did an excellent job keeping the workshops running smoothly. I managed to grab a few pictures but for most of the day I was helping out. The first workshop I was able to hep out with was the OpenGeo Suite Workshop. I am still learning my way around the integrated product and could only really help out in the GeoServer sections. If you ended up with one of the USB sticks Jeff was missing a few at the end of the day. I was back on comfortable ground for my next workshop, helping out with a straight up GeoServer workshop. I had a great time, despite a few setbacks with the facilities (making use of a whiteboard while the projector bulb was replaced). Andrea pulled an amusing trick to get around the no installed software requirement ... not installing the software. This course unzipped the required software onto the users desktop, stitching together an environment with some fancy BAT files in order to run. If you ended up with one of GeoSolutions USB sticks you can always return those too. There was a hackathon, how did it go? Whenever I stopped by the ten there were tables of participants beavering away, but I did not really hear about the results. Tuesday was my first chance to meet up with the LocationTech crew, to explore the town of Nottingham, grab food and talk shop. There was also a football game to attend thanks to Jeff Johnson (an avid fan) who organised the proceedings. We did not lose anyone, a great time was had by all, and pubs closed at 11pm shattering my impression of the United Kingdom. On wednesday there was a dinner and quiz, I peeked in before trying my luck at the hotel for dinner. I trust a good time was had. Thursday provided an earlier start, and the reason for my attendance this year: LocationTech was providing recording equipment, staff and volunteers to help record FOSS4G ... and I was one of the volunteers. Thanh Ha was our feerless leader, handing out linux machines, a backpack full of recording equipment and sheer minuets of instruction. I later learned that Thanh is the build master at the Eclipse Foundation and will be helping uDig get set up on a build machine, a good person to know. I had to run across campus to set up recording in the Sir Clive Granger Building, and missed out on the opening keynotes, extended dance remix and so on. We actually had a tense 30 mins on the other side of campus rushing to get setup, and then wondering when (or if) people were going to show up. In the absence of further direction we tried waiting it out. Speaking to a room full of nobody is not fun - calling to a halt to the one or two presentations which had already started. After this tense start to the conference, and I am pleased that the rest of the event stayed closer to schedule. 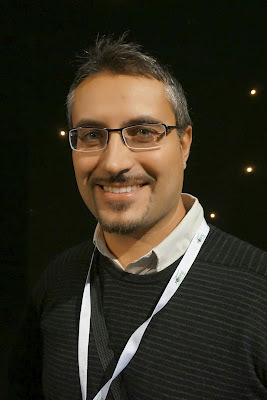 I was able to attend the afternoon keynotes, and enjoyed hearing a refresh on the OSGeo Live project, I am afraid the cartograms made my eyes funny after a while (I suppose the point is to make you think about what you are looking at). 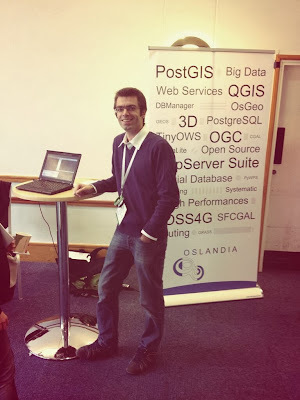 One of the best parts of volunteering, was a chance to finally see some presentations at FOSS4G! I have not followed this project closely, it offers an implementation of Geometry (comparable to JTS or GEOS). The trick is that this implementation is compatible with the BOOST C++ library. BOOST offers a set of consistent object and collection libraries. The project was a fair bit older then I expected, the origional being created in 1995, and only offered to the BOOST group as an open source implementation in 2008. A review process, that looked fairly detailed followed, with the project being accepted in 2008. Q: How can we ask BOOST.Geometry to use one kind of Geometry? Yes - that is the boost "variant". Boost Software license, commercial and open source friendly. Q: Does BOOST support 3D or Meshes? Design for 3D is supported, but no implementation. Not yet parse it, but has others SVG, WKT, WKB. Q: Which OGC / ISO standard do you follow? I confess the best talks for inspiration are always on the "academic" track. There is something magical about being freed from market constraints and charging off into the wilderness. This talk did not disappoint with quote like "More impact of the use of six-dimensional geographic space". At the crux of it is the idea of a Geographic Managed Object, think something similar to have java based printer drivers are deployed in printers, giving a software an agent a chance to pay a house call and ask a device what is happening. While an agent can talk to these objects like (a normal agent thing to do), but the individual objects also know how to visualise themselves. I expect a starting off with a map and the keyword "internet of things" would of kept the crowd in check, but I had a great time. The visualisation was impressive with both 2D and 3D view that the objects provide to client. This clients were able to interact with the objects (clicking a light pole was able to pop open the same UI was that was shown in an earlier scala code example). I also liked that in true internet of things style the objects were happy to have a party without human interventions, in this case light poles formed a network so they could talk to their friends). Clients were shown in virtual globe, gvSig and VirtualMap. It looked like our presenter was most comfortable droping out to a non visual shell. Q: Byte code run on client or server? Yes, whenever you run code it is a security risk. Q: Do you consider geometry that is not points? Yes, point was managed objects. Everything you saw was a managed object - including the globe. Depending on your position it updates itself and loads some extras and so on. As appropriate for a tech conference the Geomajas presentation cut an impressive swagger with a stack of unique technologies (Java / GWT / Spring / GeoTools / JTS / Hibernate Spatial / Infinispan). I would love to see a comparison to the OGC Standards driven component approach adopted by many of the other OSGeo projects. Still this is a great case-study of the "java stack" being deployed as a product, offering deep integration not seen in other packages (ie. BPM, Reporting, CMS / DMS). Very cute GWT editing, wonder how they do it. Highlight was the "text cloud roadmap" of community wishes from 2010, moving on to circle the achieved results by 2013. Actions (well patches) speak louder then words. There is a "archetype"+quickstart you can get going. Configured with XML. If you know java, maven the you should be good. 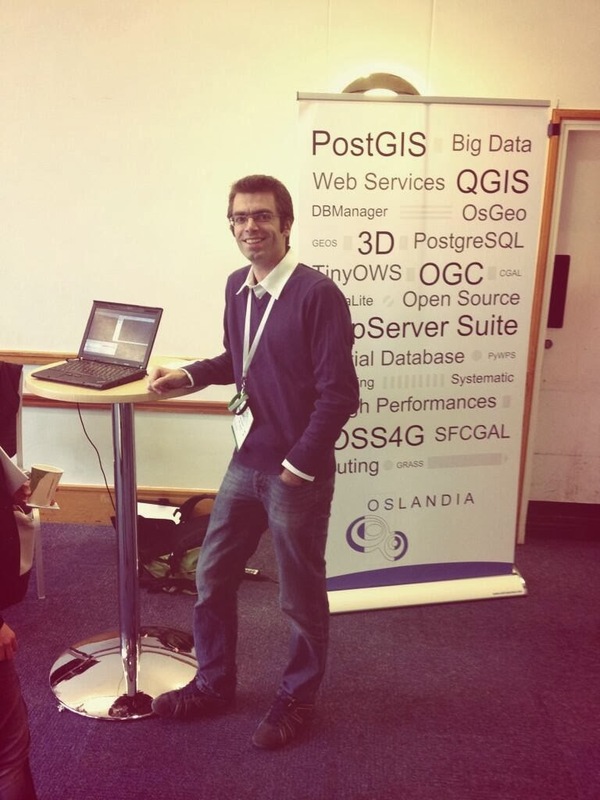 Geographic scripting provided one of the fastest presentation at FOSS4G this year, really making the case for scripting services. This presentation was a bit on the short side as people started flooding in for the GDAL/OGR talk. Q: Future Plans - udig user object model? Object model --> see GeoScript! This presentation started well, with only a bit of fun getting the recording gear in place. And then more people started showing up. And then they started showing up outside of the room in order to peer through the windows. A change of scene was called for, and we moved to a larger room. While I had a bit of a scramble to get the recording gear installed, I was pleased to see this was one of the recordings that made it. Frank was (and is) a gentleman, deferring as often as possible to the Evan Rouault who was able to supply the technical detail. Thursday evening featured a Gala night, those trying for dinner at the hotel this time were disappointed. 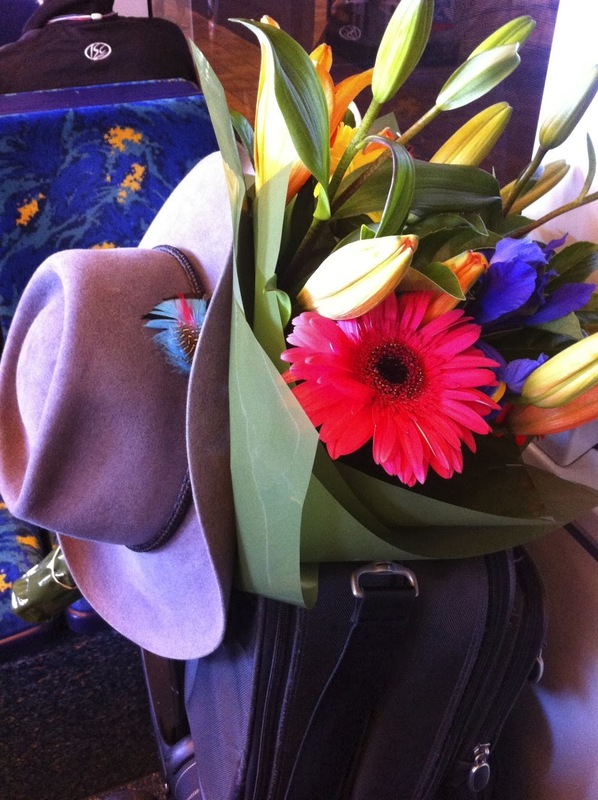 (due to long service delays). As for the Gala the Festival of "The Spoken Nerd" was quick of wit and entertaining: balancing humour, awkward and fascinating with ukulele music. 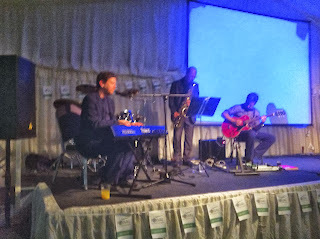 The real magic was the Chris Conway Jazz band, alas there was no dance floor. Friday had me located in the Banquet hall, with the a direction connection to the AV Equipment (with a backup volunteer in place). While this should of been a recipe for success, we ended up having miserable luck recording. Best theory was too many items plugged into the power bars, resulting in the video encoder shutting off at the 20 minuet mark (at the end of its battery power). So if the next section links to slide share you will understand! Alessio was great to meet in person, and started off the day with a brisk pace. I watched with some surprise as he started to move away from the promised introduction and into the same material we had scheduled for the "State of GeoServer" talk later that morning! I hope nobody minded the review! Simone continued his traditions of having a great deal of content, and a great number of slides to match. If you are following along at home please take the time to benchmark with JMeter and do the data prep. I know jumping directly to clustering sounds fun (and probably is) but you have a bit of prep to do first. A brisk tour of GeoServer since the last foss4g conference. The important points for me were not so much the improvements to the technology, but the great strides made by the community in making GeoServer a safe reliable choice for web mapping. Q: Who is that with Andrea Aime .. a project manager? I was really happy to see this presentation, as one of the big goals of introducing a security subsystem into GeoServer was to enable the kind of deep spatial integration required for defining roles based on a geographic footprint. I got distracted for the afternoon, turing over recording duties to another volunteer (just as well given my luck recording in the morning). A python implementation of OGC SOS this time out. The agenda is available on the wiki it only tells a small part of the story. It is really too bad this is called a meeting (and is held over dinner) as we really need a great deal more of this at FOSS4G. 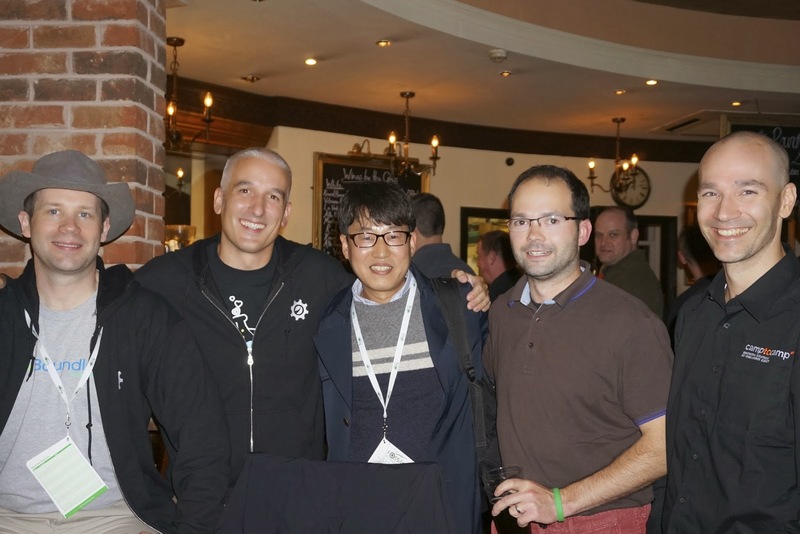 The wide spectrum of OSGeo local chapters, from experienced to just getting started. I provided a quick update from the Aus-NZ side of the street. Incubation Update: Incubation is hit or miss, really depending on volunteer effort and the individual projects to make OSGeo a priority. With one day to go gvSig came out of nowhere with a status update (amazing!). Arnulf ended up reviewing the MarbleGIS codebase himself, leaving it almost ready for graduation. The rasdaman project is very close, just getting stuck on the open governance model expected of OSGeo projects. We still have not heard from the CITE TEAM Engine. Check out the presentation for details. Updates from project officers? Well not really they are all at dinner, GeoTools is however doing great. An inspiring update from Africa, describing the opportunity and asking for direction. Friday Evening consisted of making a break for town and catching up with with a LocationTech Birds-of-a-Feather session of dinner. A few other groups had invaded the Round House pub making for an entertaining evening - so much so that seating was arranged in shifts. Conversation alternated between the trials of migration and planning tomorrows code-sprint. A good time was being had everywhere on Firday, as witnessed in the hotel lobby with a friendly delegation from Korea. Okay here is the deal, the best presentation of the event was not a keynote. The 9 am start provided the auditorium with a crowd of a couple dozen for an unexpectedly great presentation. Indeed this presentation had no right to be good, let alone great. It was a presentation from the academic track .. about metadata. Let that sink in, one of the best presentations at FOSS4G was about metadata. Q: Why was it so good? Entertaining presentation skills, working the crowd to provide the context, and a good message (use the database to auto generate 90% of the INSPIRE required metadata so you don't have to worry about it being up to date). See when I say it it already sounds boring, you should of just woken up early - I spent the rest of the conference raving about it. A real hard act to follow, but pycsw was here to give it a go. I am really happy to see some competition in the catalog service web space. Now if someone will write a good client library, oh wait Bart did. Fine if someone else will write a good client for us Java developers. GeoPackage has some great things going for it, in addition to being an exciting idea it is also being used as an experiment by the OGC. Taking standards to GitHub, both to solicit feedback, but also to allow implementors to "fork" the standard to document their own implementation. This talk quickly morphed into a long Q&A session with Chris Holmes and other members of the audience. Whenever discussion moves off the stage and into the bleachers you know you are onto a hot topic. The first of two GeoGit presentations, a product that cannot come to market fast enough. I got a bit grumpy at this presentation, perhaps I should of read the description a bit more carefully. This presentation was very much a "yay gitub is great" presentation, ignoring everything else that goes into making open source successful. Frankly I was a bit embarrassed, and wondered if this presentation was originally intended for this conference. We don't need the wonders of GitHub explained to us, we are the wonder of GitHub. 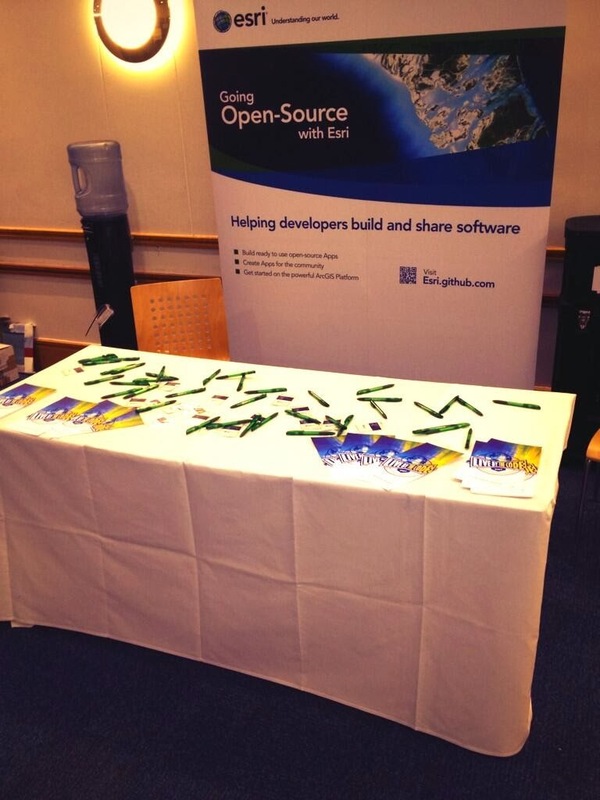 Q: How is ESRI doing Open Source? So rather than to continue to be grumpy on twitter, I did a bit of checking up on how ESRI is doing with their open source geometry library. And I was actually pleasantly surprised. In addition to choosing an open source license (Apache 2.0), there was a contribution policy in place (Apache 2.0 is required and you get to keep copyright). Next step is sorting out project governance ( something I hear a software foundation can help with). This was an excellent follow on talk to the earlier introduction, David Winslow was super approachable communicating where the project is today, and answering questions. The presentation was a straight up "text on the screen" talk with command line examples. I talked to a few people who were staying on Saturday just for this talk. For everyone else I will ask David if he can put the slides up. We have an awkward time with benchmarks, since there is no commercial reason to take part. The amount of effort involved never quite seems to match the publicity at the end of the day. I suspect until we address this issue they will continue to be a non-starter. Map Gallery AwardsI loved the fact that the best map was hand drawn and amazing. Twitter responded with concern, but I loved the fact that we are mapping professionals first, and proponents of technology second. Keynote: Paul RamseyPaul did an excellent job, building everyone up, and then showing them the tough path ahead. Nice work. Closing RemarksA friendly fireside chat, at the end of a great week. The closing remarks kind of ran over the FOSS4G 2014 Invitation, suffice to say Portland has an excellent bookstore, great microbreweries and some spectacular mountains nearby. One of the nicest parts of the conference, was sitting on the hotel steps, enjoying the sunshine and sharing a dram of whiskey. I had several fascinating conversations, perhaps fuel for further blog posts, and more importantly inspiration for all we have left to do. There was an entertaining party, a selection of beer, and cringeworthy entertainment (I cringe at awkward humour, others appeared to like it). The code sprint on sunday was a cozy afair, in part due projects holding their own code-sprint earlier in the week. This had a real impact on the FOSS4G "cross project" feel, and was my only real let down with respect to organisation. To put this in context: A complaint levelled against open source software is the duplication produced by so many projects re-inventing the wheel. This is often due to projects receiving funding at different time and thus not having an opportunity to work together. The OSGeo board has recently drawn up some guidelines on code-sprint funding, which keeps this cross project priority in mind. GeoServer had an amazing week with a 2.4.0 release. The project has seen an influx of new featuers, with a few more community modules waiting in the wings. In addition to an IP check, community modules need to be internationalised prior to being included in the release cycle. The Importer module is getting close to ready, and Niels and Ian used the code-sprint as chance to set this module up for translation. We have spent a lot of time on making sure uDig is easy to install, to the point of including a Java Runtime Environment in our download. Since Java and its extensions are not in fact open source, we had a bit of planning to do on how we can keep uDig easy to download and install in the future. We did get a start on the next step for LocationTech incubation, changing all the package names from net.refractions.udig to org.locationtech.udig: Research shows most teams doing this work by hand .. gulp! Trying this in the Eclipse IDE resulted in mixed success, it took a long time and missed a few references. The combination of the command line and "sed"looks more promising Frank Gasdorf was unable to attend the code-sprint, but had managed to set up uDig for translation earlier in the week between sessions. 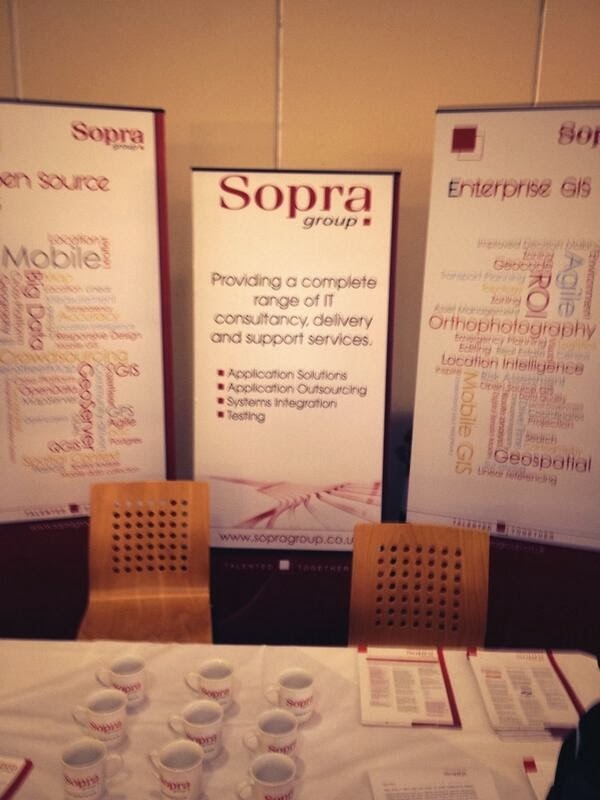 FOSS4G 2013 felt like a party for the cool kids that already know how amazing open source spatial can be. That is great for binding our team back together after a year away. 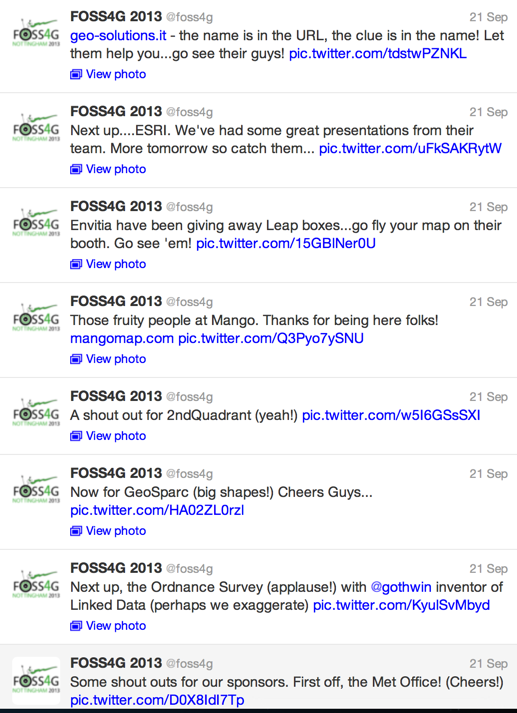 This year did not hit that outreach vibe I usually associated with FOSS4G. 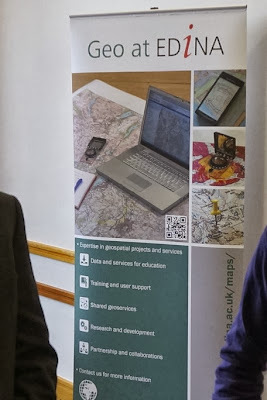 Perhaps open source spatial is already established in the UK, or that the local chapters already have outreach covered. Portland: It is still the early days for open source mapping in North America with plenty left to do. I hope we can use Portland to promote our craft. In North America this involves being a lot closer to industry than perhaps the rest of the world is comfortable with. Consider it a regional bias, pitch in and help get the message out. South America: I really would like to see the next FOSS4G hit South America. If we have much to learn when talking to business in North America, South America has just as much to teach us about freedom. There is a lot more of the world to help, FOSS4G is one our best venues to shout out the message. See you next year!